Many marketers are wondering about the effects of Google+ on search results, and for anyone with a Google+ profile, a few personalized searches make those effects quite apparent. 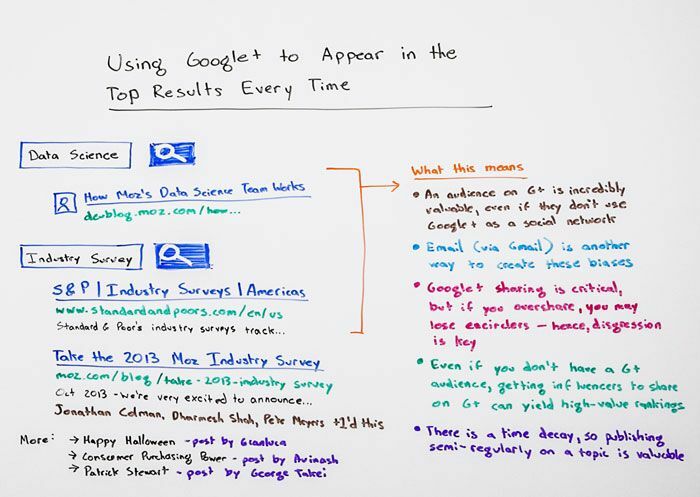 In today’s Whiteboard Friday, Marshall Lee the vampire king (don’t be afraid, it’s just Rand) explains how having the right circlers on Google+ can lead to top-ranked results for even the broadest of queries in their SERPs. Next Post Want to get found on Google? Focus on Google+!